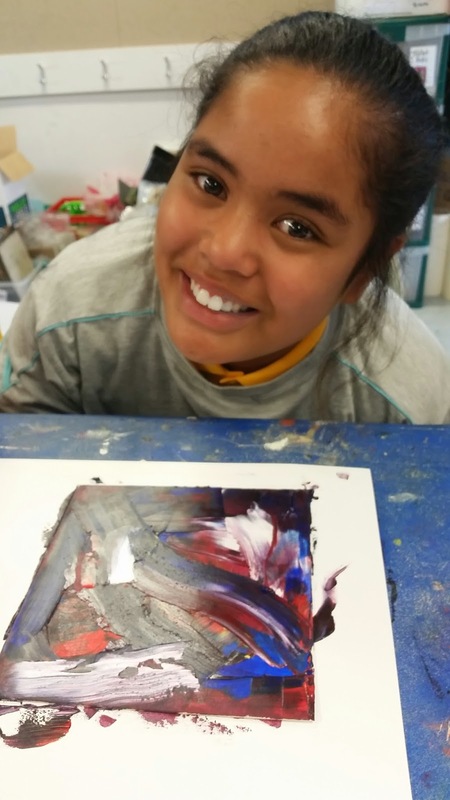 Tamaki Primary School Art: Oil Paint Chaos! 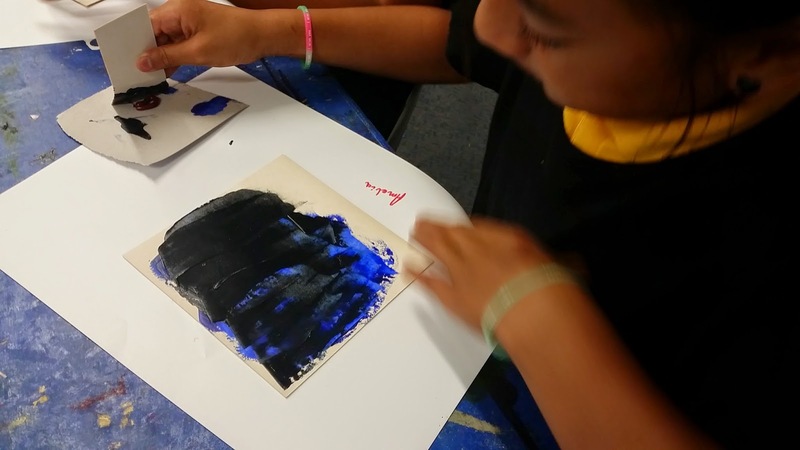 WALT explore the new art media of oil paint! 1. 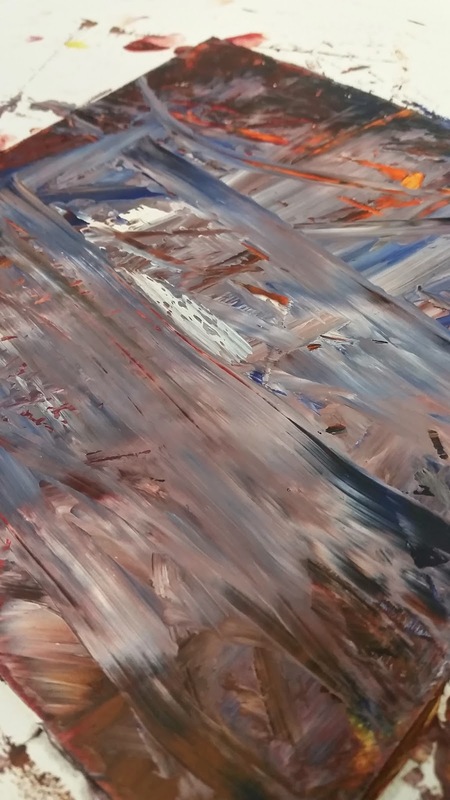 Explanation about the important things to know when it comes to working with oil paint. 2. Children to come into room, taking a piece of newspaper, and a square of card. Name on back of card. 3. Children to gather around teachers table. Teacher to model taking three blobs of oil paint from the set up table, and putting them onto the palette. 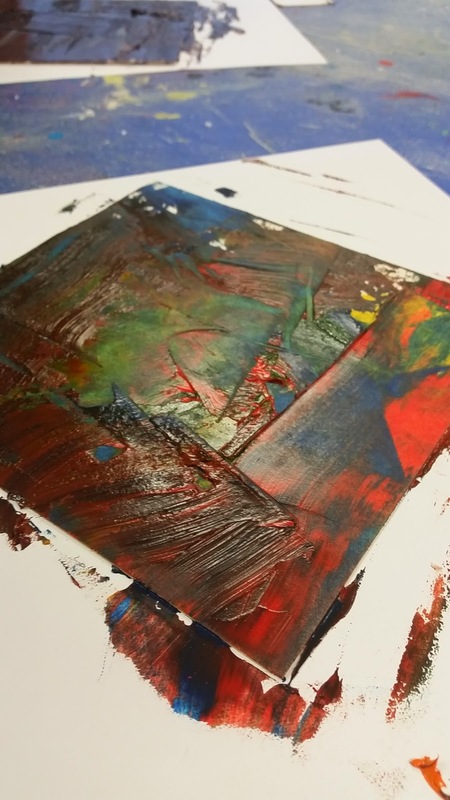 Teacher to model using strips of card to spread colours onto the base card, using sweeping slashes to create texture. 4. Children to try for themselves - they may use as many colours as they want, but it can look more effective with lighter colours on the top. 5. Find somewhere sensible for the card to dry. It can take up to a week. 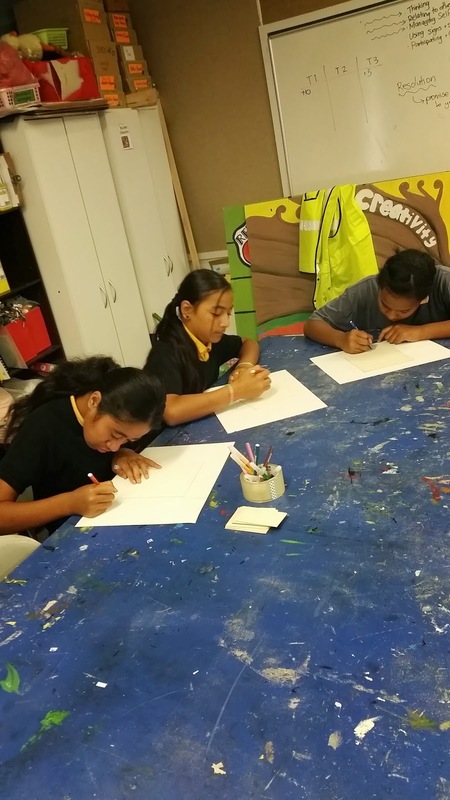 Wow, I like your guys painting it looks so nice and cool, I really like the background of it it looks like real life in your paintings, I hope your teacher is so proud of you guys.